Liverpool has a growing reputation for fantastic food, and who better to show us around the city than Sticky Walnut’s Gary Usher? We caught up with the chef for his top Merseyside tips. Liverpool is famous around the world as an effortlessly cool city of culture. It’s the home of pop music and arguably the most famous band of all time, the most successful footballing city in the country, a recently European capital of culture, and yet, it hasn’t always had much of a food reputation. 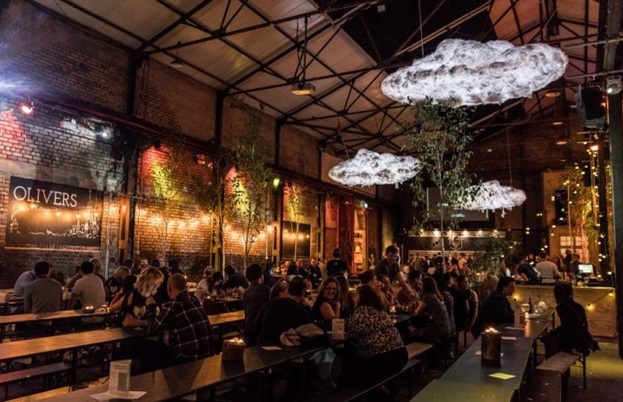 Times are changing though – as Liverpool’s multi-billion pound investment continues, the city has developed its burgeoning food scene, with exciting new restaurants, bars and cafés popping up all over the city. If you want to find the best bits of a city, you’re always best turning to someone local. 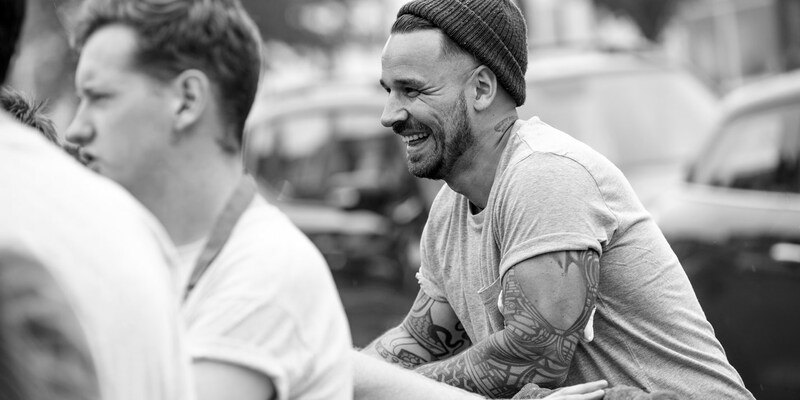 Gary Usher moved to the north west some years ago now to set up the original Sticky Walnut in Hoole, and we caught up with him last year when he opened his superb bistro Wreckfish in Liverpool’s Ropewalks district. With a new, fifth restaurant recently opened in Prescot, Gary’s empire covers most of Merseyside and Chester these days, so who better to show us around? Read on for an inside look at Gary's favourite spots in the city. Gary didn’t include his own bistro in this list, but we would strongly recommend it to anyone visiting the city. 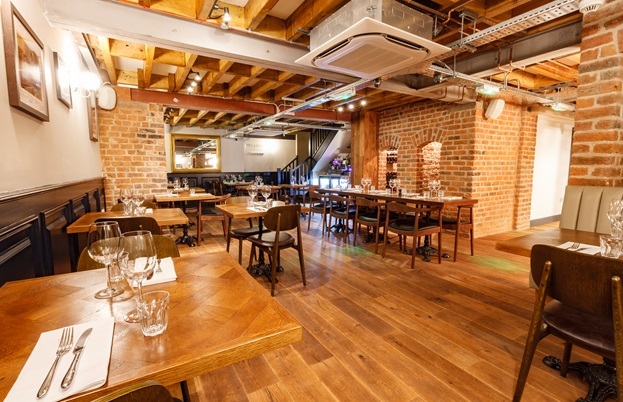 The Ropewalks is one of Liverpool’s up and coming areas, and Wreckfish sits in the middle of it – a beautiful airy two-storey restaurant, open for breakfast, lunch and dinner every day. The food treads an expert line between clever and comforting, and if you visit for lunch or early dinner, the set menu price is absolutely tremendous – if you can find a better way to spend fifteen quid than on a braised featherblade of beef with celeriac purée and hispi cabbage followed by a warm marmalade sponge, we'd be surprised. In the space of a few years, Maray has become one of the most exciting restaurants in Liverpool’s bustling city centre. 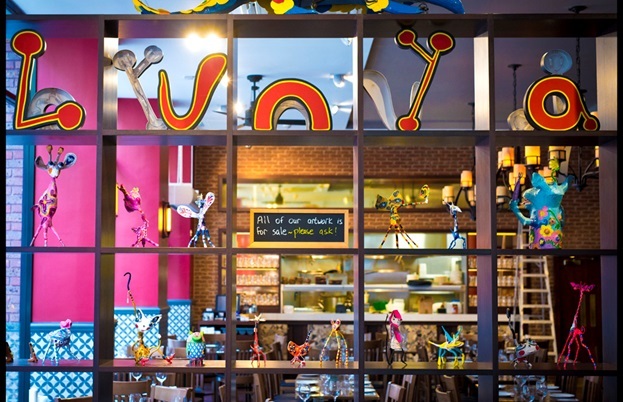 There’s a clear Middle Eastern influence at work here, but Maray takes inspiration from far and wide across Europe, with clever little surprises dotted all over the menu. 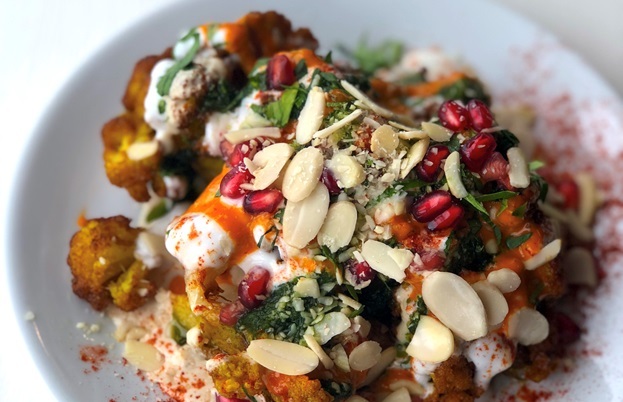 There’s a large but thoughtful vegetarian selection, with dishes like broad beans, wild rice, medjool dates and chilli, and cauliflower, flaked almonds, pomegranate, tahini, yoghurt and harissa setting the tone nicely, but the meat and fish dishes look equally delicious. 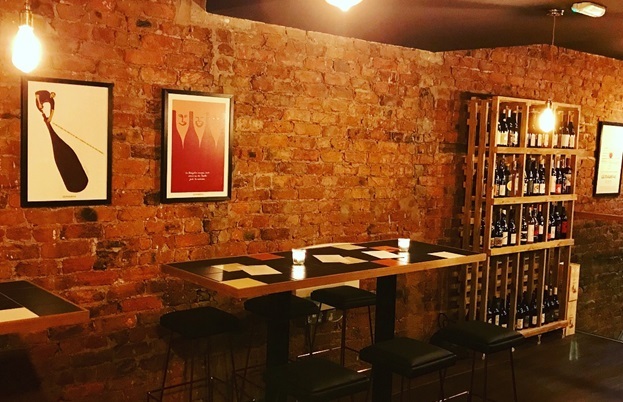 Belzan is a bit of a journey from Liverpool city centre but it’s more than worth the trip, especially for those with a slightly more adventurous palate. The menu sticks to a mantra of simple, seasonal cooking, and the team at Belzan executes that to a tee, producing stupendous dishes like Jerusalem artichoke, braised onion and earl grey whey, smoked eel, crayfish emulsion, black pudding and nasturtium leaf and rabbit and blood orange ravioli with sage butter and Parmesan, as well as daily fish and charcuterie specials. You can even buy a plate of staff food for a fiver – when a restaurant offers their staff meal to customers, you know there are some talented cooks in the kitchen. The bàcari of Venice are working class bars of sorts – you can visit at almost any time of day and sit with a tumbler of good wine and a few cicchetti – which roughly translate as Italian tapas. The small plates format has become rather fashionable over here recently, but for every nine places overcharging you for naff food, there is somewhere like Salt House Bacaro that absolutely nails it. 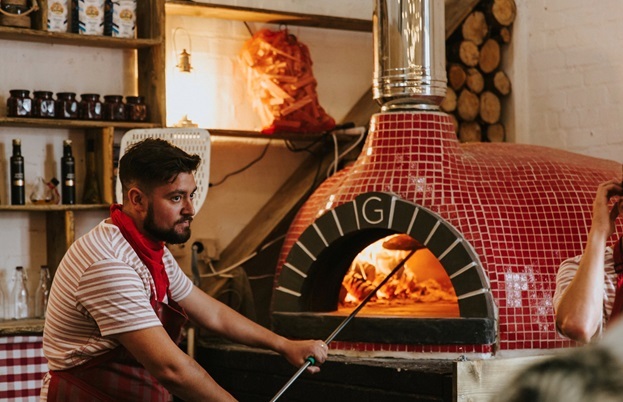 The menu is overflowing with delicious food – from little pizzettes and charcuterie boards to meat, fish and vegetarian cicchetti, and if you want to get into the Venetian spirit, Salt House does a good line in Bellinis and Italian bitters too. 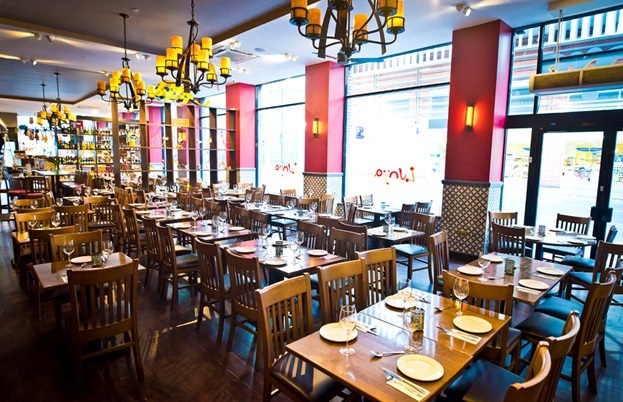 Lunya was originally a fabulous food stall, but has since evolved into a full Catalan delicatessen, bar and restaurant in the heart of Liverpool One. To say Lunya is well stocked is an understatement – the deli is packed full of cured meats, cheeses, wines and more, and you can sit and enjoy a drink or a meal before heading home with a bag full of Catalan goodies. 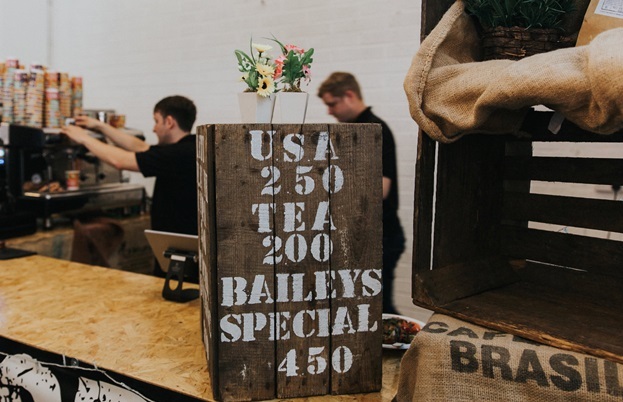 Liverpool’s first street food market is a roaring hub of activity, and home to some of the city’s most exciting new food business. 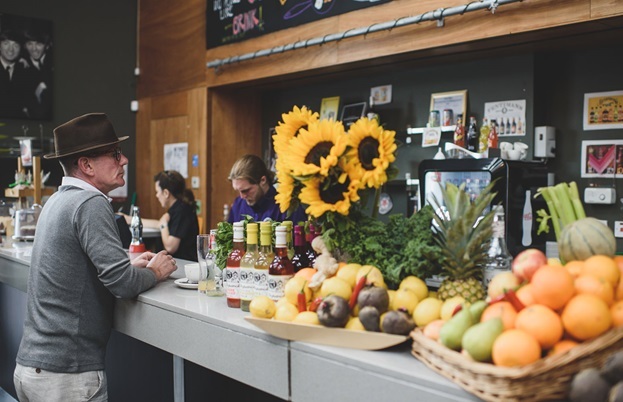 Black Bib is one such vendor that has been attracting plenty of attention for its fired steaks and burger-topped fries – although they aren’t currently in the rotation at The Baltic Market, there are plenty more to discover. 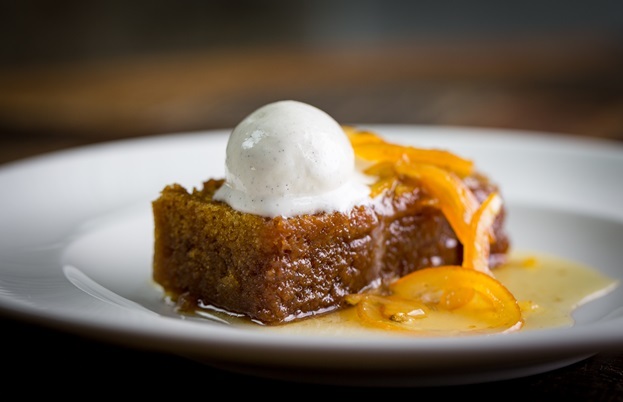 There are no frills when it comes to food and drink at The Brink. The menu is comfort café food at it’s best – delicious pizzas, burgers and fry-ups, along with an alcohol-free cocktail menu to go with it. 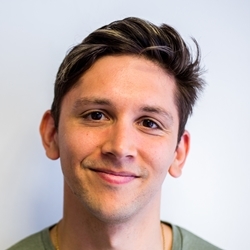 The Brink uses all its profits to support sufferers of alcoholism and addiction, and runs a variety of support groups, from legal and welfare advice to meditation and yoga classes. This giant warehouse sits bang in the middle of the Baltic Triangle, and sums up the city in so many ways. 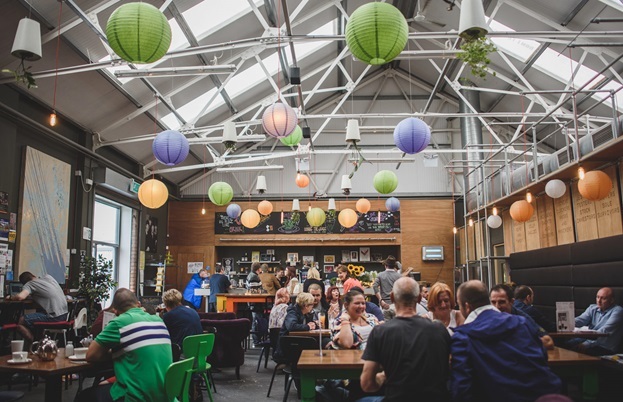 A friendly, communal spirit runs through everything at Camp and Furnace, which hosts almost anything you could ever think of, from live sport and music to restaurant pop-ups, conferences, pub quizzes and more. 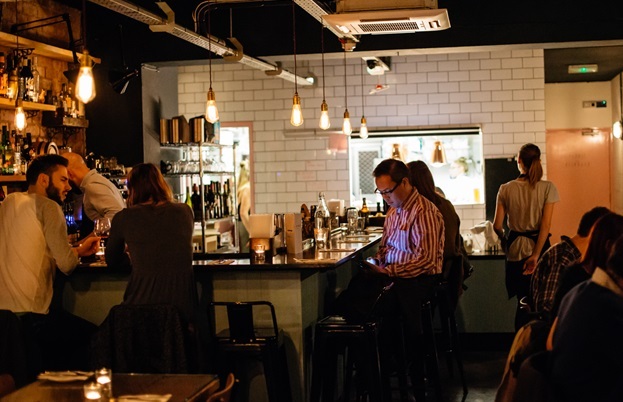 Bars aren’t always ideal for those who like to drink in peace and quiet, but Writer’s Block isn’t your ordinary sort of bar – it’s made for those of us who like to chill out with a glass of wine and a bit of headspace. Wine and cocktails are the order of the day here – both are excellent, and Writer’s Block backs up the drinks with an excellent snack selection, including charcuterie and cheese boards and the friendliest live-in dog you’ll ever meet. 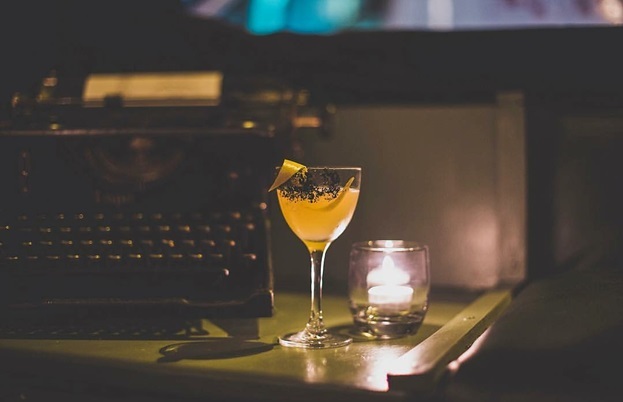 This little prohibition-era speakeasy is one of Liverpool’s best-kept secrets, and easily missed if you don’t know what you’re looking for. 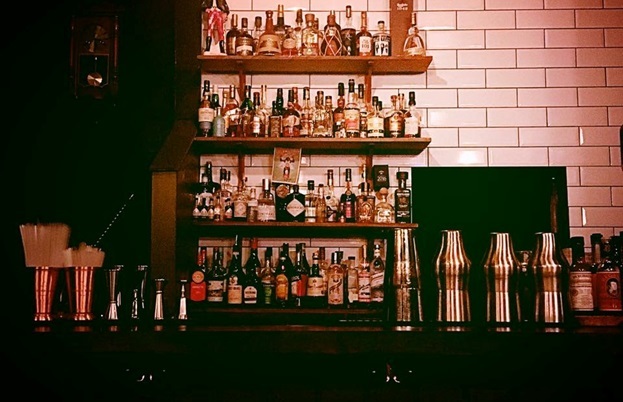 Between a wine store and a hair salon on Berry Street in the Ropewalks, an inconspicuous door gives way to one of the best bars in the city, complete with exposed brick walls, plenty of smooth jazz and more cocktails than Don Draper could shake an empty tumbler at. 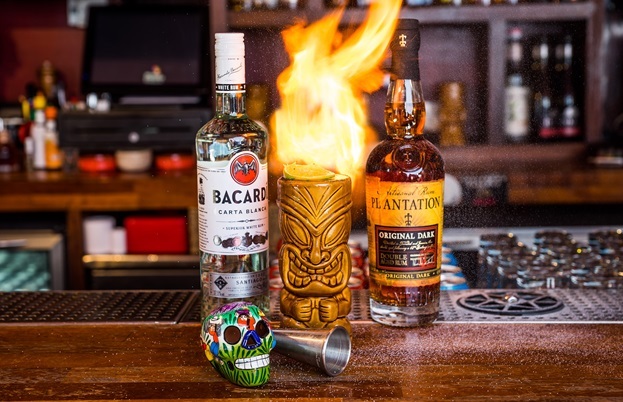 You’ll find most of your usual tipples here, but gin and whisky cocktails are the specialities and the bartenders are absolutely superb – more than capable of whipping up whatever you fancy, even if it might not be on the menu. 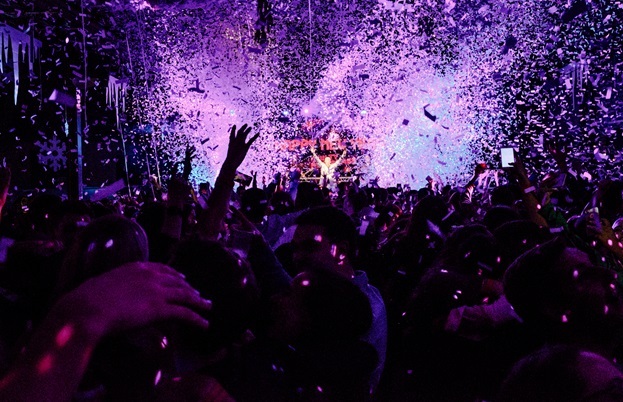 Liverpool has always been a famously good night out, and Salt Dog Slims is the place to go if you’re looking for some typical Scouse atmosphere. 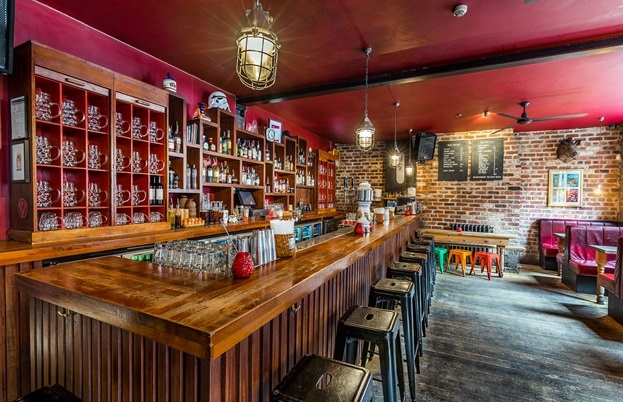 It’s not the biggest bar in the city, but it may be the loudest, and friendly bar staff will sling out the steins until two o’clock every morning, along with a tasty selection of hot dogs to soak up the booze. 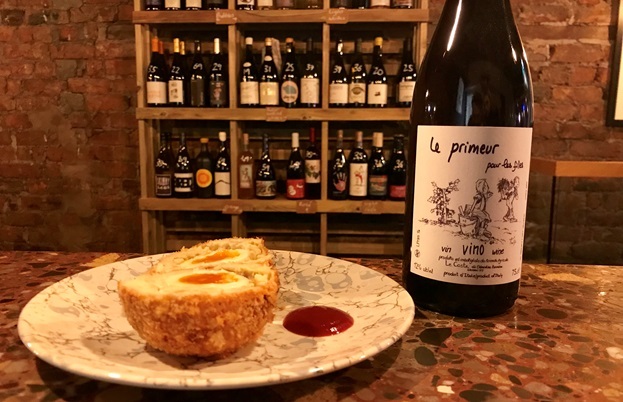 Bunch is leading the charge for natural wines on Merseyside, offering an excellent selection from their cosy store on Berry Street – next door to Berry & Rye in fact! You can buy wine by the glass to drink in, or a bottle to take away if you’d rather, and owners Bobby and Lara are a wealth of information too – always on hand to point you in the right direction. The pair also hold regular wine tastings too for those who want to educate their palate. 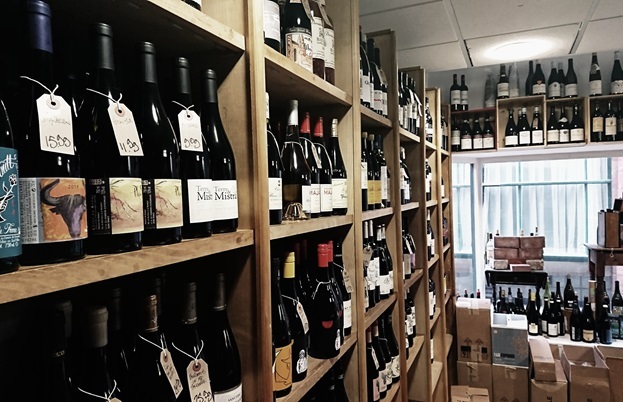 Like Bunch, R&H Fine Wines leans towards biodynamic and organic wines, but they’ll stock anything ‘honest and delicious’, in their own words. 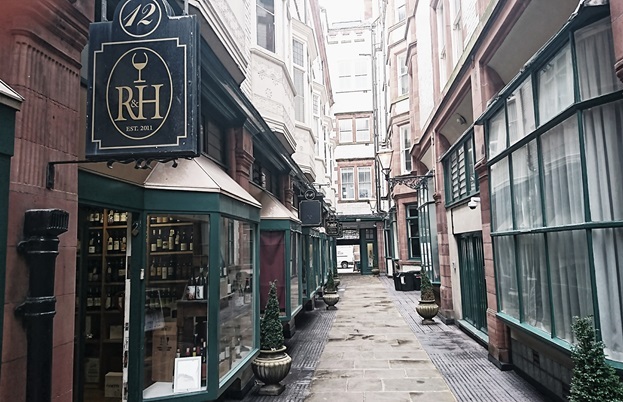 Stop in at their shop on Queen Avenue – just around the corner from the famous Cavern Club – for a browse, or you can book a wine tasting for between eight and fifteen people and get a crash course from the experts.